The suggested dose is 2-4 capsules (1-2 grams) before each meal. Studies indicate that there is a benefit provided by taking only 2 capsules before each meal, which is the dose people should start with for the first week. Those seeking maximum effects may consider 6 capsules (3 grams) before each meal. 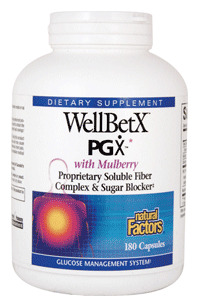 Note: PGX is not a substitute for diet and exercise. Those seeking to lose body fat should take 2-6 PGX capsules before each meal and follow a calorie-restricted diet. Exercise is recommended for those who are able to do so.